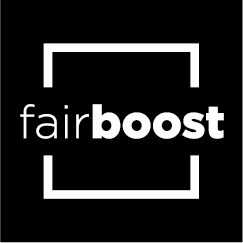 The cookies used by FairBoost web-shop are safe. They cannot collect personal information and are safe for your PC, laptop, smartphone or tablet. Most cookies used by the Webshop disappear when you close your browser. Some cookies may be retained for a few days to a few years. You can delete them via your browser at any time. You can always delete or block cookies in your browser settings. More information about changing your browser settings can be found in the Help menu of most browsers. Please note: most websites do not function optimally if you disable cookies.